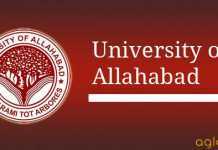 Allahabad University M.Ed Entrance Test 2018- University of Allahabad, Department of Education has released notification for eligible candidates for admission into M.Ed Programmes for the academic year 2018-2019 through an Entrance Test held by Allahabad University. Candidates who are interested can fill their Application Form on or before the last date of application. Candidates can check the complete information of Allahabad University M.Ed Entrance Test 2018 like application process, eligibility criteria, selection process, etc through this page below. Latest: Score Card for M.Ed 2018 has been released. Candidates can check below for further details. Interested candidates can now apply online through the link provided below as well as the official website www.auadmissions.com . The candidates have to fill and submit the application form online only, in accordance with the instructions given below. Candidates who are interested are advised that, they must ensure their eligibility criteria before filling the Application Form. The direct link to fill the Application form is also given below. 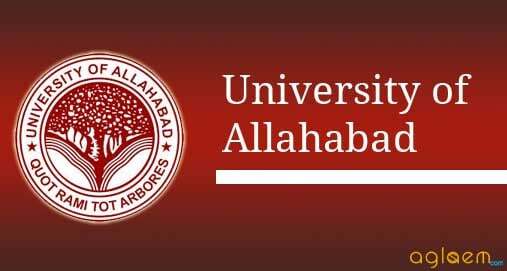 Schedule for Allahabad University M.Ed Entrance Test 2018 is given below. The application form for admission in Allahabad University M.Ed Entrance Test has been released. The applicant must take due care while filling up the online application form. The information provided by the applicant in his/her online application form shall not be changed and altered in any case. and the university will not entertain such any requests under any circumstances. Rs. 750/- (Rupees Seven Hundred fifty) in case SC/ST and PH candidates. Take a Print-out of this Bulletin Information and Guidelines and read it carefully. Review and ensure the correctness of the details of his/her academic record at the High School and Intermediate (or equivalent) and the Graduation, for purposes of making required entries in the On-line Form. Get his / her latest Passport-size Color Photograph and the Signature (with Black ink on white background) scanned by Computer, so that the scanned Photograph with his / her signature can be submitted with the On-line Form. If the candidate does not already have an e-mail address (e-mail ID), he /she should create for himself/ herself a valid e-mail ID, in order that the M.Ed. Admission Test-2018 Committee may send him/her significant instructions or information (as per need) by email. It should be noted that the Test Fees shall not be refunded or carried over in case the application of the candidate is rejected, or his/her candidature is rendered infructuous or cancelled at any stage, or he / she does not appear wholly or partially for M.Ed. Admission Test 2018. There is no provision for the withdrawal by a candidate of his / her application / candidature for M.Ed. Admission Test-2018 once he/she has submitted the Former, pursuant to the same, remitted the Test Fees. Candidate’ means a person who fulfils the requirements laid down in these ordinances and the Regulations made there under for admission to M.Ed. course and has applied for such admission in the manner specified there in. Computed Marks’ means, the marks assigned to the candidate, in accordance with the provisions of these Ordinances and the Regulations made there under on the basis of his score in the Admission Test for determining his position in the order of merit for Admissions to the M.Ed. Course. Candidates seeking admission to M.Ed. programme should have obtained at least 50% marks or an equivalent grade in B.Ed. from an institution recognized by NCTE. Reservation and relaxation for S.C./S.T./O.B.C./P.W.D. and other applicable categories shall be as per rules of Central Government. There shall be relaxation in minimum qualifying marks of 5% for S.C./S.T./O.B.C./P.W.D. (General candidate should secure 50% or more marks where as S.C./S.T./O.B.C./P.W.D. should secure 45% or more marks in B.Ed. examination). Admission Test shall be held through Online Mode at the centre allotted by the university on the Admit Card. Minimum qualifying marks and deduction for gap years will be as per University of Allahabad rules. The following proportions of the approved seats shall be reserved for candidates belonging to the scheduled castes (SC) the Scheduled Tribes (ST) and the OBC. If a candidate belonging to any of the categories mentioned in clause (a) gets selected for admission on the basis of merit with unreserved (i.e. general) category candidates, he shall not be adjusted against the seats reserved for the said categories under clause (a). For more details of AU M.Ed Entrance Test 2018 – Download Information Brochure. Can you please notify about counseling schedule for m.ed. admission.. Thank you sir.. but That’s the same post. Do you have any information about counseling schedule or cut off?